Here's hoping it's more comfortable than the Touch Cover. Rumors of a Microsoft Surface All-in-One PC have been little more than anonymous reports thus far, but some circumstantial evidence just popped up that suggests a Surface AIO announcement may truly be imminent. German-language site WinFuture recently found a listing for a Surface Ergonomic Keyboard in the Bluetooth Special Interest Group’s database. The Surface keyboard's presumably a desktop peripheral since ergonomic keyboards usually have large, specialized shapes such as split and curved designs—though Microsoft did create a mobile ergonomic keyboard in 2012. 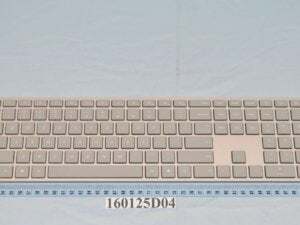 There are no details about the Surface keyboard other than its name, and the fact that it will use Bluetooth v4.2. The presence of an ergonomic keyboard doesn’t in itself prove that an AIO is coming, but it is suggestive. 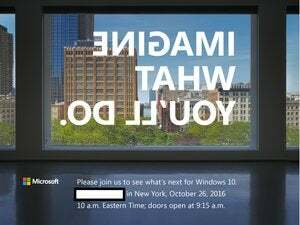 Rumors of a Surface AIO already point to a late October press event for its unveiling, and all Surface devices thus far have had Microsoft-designed keyboards to complement them. Plus, a stand-alone keyboard seems an odd choice as the next extension of the Surface brand. That doesn’t mean the Surface Ergonomic Keyboard wouldn’t be available as a stand-alone purchase, but its development and debut is likely attached to an upcoming Surface PC. One argument against the Surface keyboard hinting at an AIO is that Microsoft already makes a line of keyboards that this peripheral could fit into. These include the Microsoft Natural Ergonomic Keyboard 4000, which first rolled out in 2005, and the Sculpt Ergonomic Keyboard from 2013. The story behind the story: When it comes to Microsoft hardware it’s never a good idea to count on anything until it actually happens. Products like the Surface Mini tablet, not to mention the Courier before it, were also in development and highly rumored before they were ultimately killed. The same could happen to the rumored Surface AIO, and this potential Surface Ergonomic Keyboard.